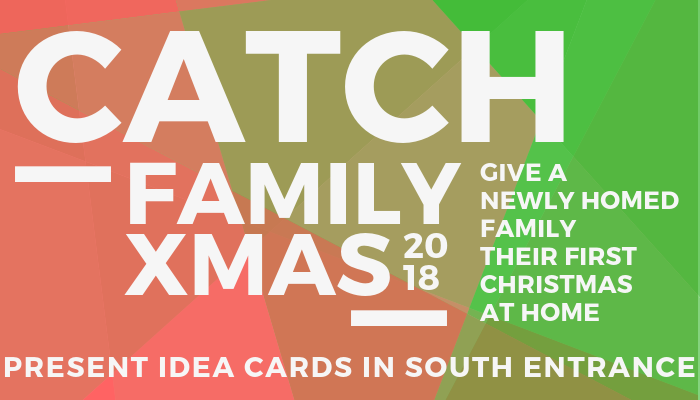 CATCH Xmas Family- We’re giving a newly homed family their FIRST Christmas together at home. There are wish list gift tags available at the South Entrance, and you can go to our website to see the full lists. Grab a tag, go shopping, bring your wrapped gift back with the tag attached. Presents can be dropped off under that wish list tag table in the South Entrance. DUE December 11th!